Does Google Want To Kill The AJAX Web Like The Flash Web? 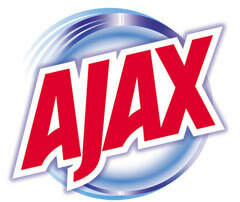 Home > Google News > Google SEO > Does Google Want To Kill The AJAX Web Like The Flash Web? A couple year ago, Google released best practices on how to make AJAX crawlable for search engines. But as I covered last week at Search Engine Land, those guidelines may go away. Gary Illyes said at SMX West last week that Google may announce they no longer will support those recommendations and will come out with a blog post as soon as now (but it seems likely it won't happen till later) explaining why. In fact, I believe (I can be wrong) that Gary said sites designed in AJAX provide a poor user experience to users and implied to me (I can be wrong) that it is almost as bad as going with Adobe Flash (okay that might be an exaggeration). I think if he [Gary Illyes] announced that we are going to announce something, then maybe it is best to wait for that announcement. The bigger picture is that we’ve gotten better and better at rendering AJAX. So it’s generally less of an issue that you need to do something like an AJAX crawling workaround to actually make this content accessible to do that. When will Google announce this? Gary Illyes from Google did comment in another Google+ thread saying "That's still in works, Barry Schwartz. We still need to figure out a few things."